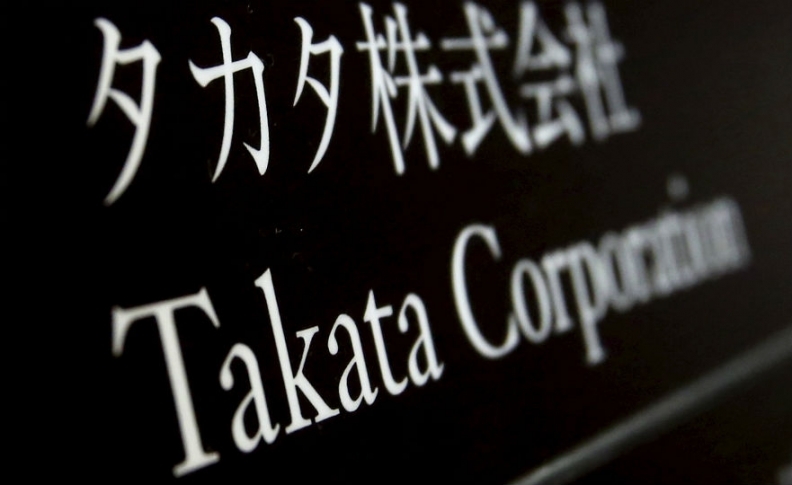 WASHINGTON -- U.S. auto safety regulators are invoking a power never used before in order to accelerate the Takata airbag inflator recalls after the embattled supplier acknowledged on Tuesday that parts contained in nearly 34 million U.S. vehicles were defective. Takata’s admission set in motion what will be the largest industrywide recall action in U.S. history. The roughly 17 million U.S. vehicles recalled prior to Tuesday’s announcement were already expected to take years to repair. With 11 automakers, tens of millions of recalled cars -- many of which are more than a decade old and in the hands of second or third owners -- and a supply chain already straining to produce enough replacement inflators, the expanded Takata campaign will also be the most complex recall ever, U.S. transportation officials said this week. To sort it all out, the National Highway Traffic Safety Administration has begun the legal process to coordinate the industry’s recall effort, prioritize the flow of replacement parts and, if necessary, speed it all up, according to a NHTSA document outlining the procedure to be published Wednesday in the Federal Register. NHTSA wants the defective airbags replaced quickly, and is requesting comments from the industry about how to best execute the recall, whether it should issue an order to accelerate the Takata recalls, and how such an order could be effected. As part of the process, NHTSA will gather input from industry players to evaluate available supplier capacity to produce replacement airbag inflators. Suppliers thus far have struggled to produce enough replacement inflators to meet demand as the pool of affected vehicles has grown, causing delays at dealerships when customers call to schedule recall repairs. Takata is producing 500,000 inflator replacement kits per month and plans to ramp up to 1 million per month by September. Other suppliers are stepping in too, such as Daicel and Autoliv, the Swedish supplier whose spokesman said Wednesday is ready to boost production of Takata replacements beyond what it’s currently producing, Reuters reported.